The negative impacts of climate change will hit poor people and poor countries disproportionately, and further compromise the achievement of their development objectives. 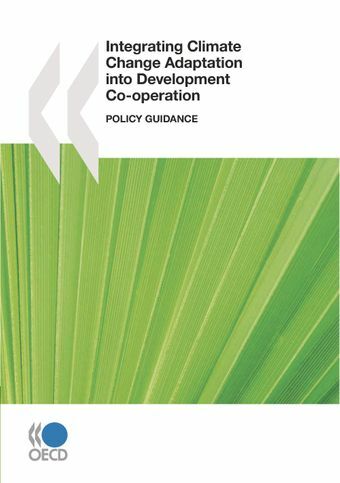 Integrating Climate Change Adaptation into Development Co-operation provides essential information and advice on how to facilitate the integration of adaptation into development processes. The objectives of this policy guidance are to: i) promote understanding of the implications of climate change on development practice and the associated need to mainstream climate adaptation in development co-operation agencies and partner countries; ii) identify appropriate approaches for integrating climate change adaptation into development policies at national, sectoral and project levels and in urban and rural contexts; and iii) identify practical ways for donors to support developing country partners in their efforts to reduce their vulnerability to climate variability and climate change. While efforts to integrate climate change adaptation will be led by developing country partners, international donors have a critical role to play in supporting such efforts.